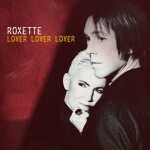 As German radio station “RPR1.” reports, Roxette are back with their new single “Lover Lover Lover”. Yesterday the song had it’s airplay premiere at the channel. Let’s hope for solid airplay! Thanks to Tina E. for the info! Radio Berlin in its chart show “Hey Music” has recently added Roxette’s “Touched By The Hand Of God” to the voting list. We have no information if this is the second single off TRAVELLING or just a pick from radio’s dj. Yep, looks like TBTHOG will be the 2nd single off Travelling! A wise choice do you think? Roxette’s latest album TRAVELLING was released in Russia last month. This edition is a bit of strange as it includes only 13 songs and both versions of “It’s possible” were removed for unknown reasons. Picture was taken by Alexander Funk. As we did for “Charm School”, we will collect the different official chart entries and positions of Roxette’s new album “Travelling” for some weeks in this post. How is the album doing in your country? Let us know! Please provide links to the sources to your numbers. The German Abendzeitung München interviewed Per Gessle about “Travelling” – not the album, but indeed travelling. The questions are quite interesting (and so are his answers) so we decided to give you a short translation. Per Gessle, you are in sunny Stockholm right now. How long? Per: Not very long. Very soon I leave to my other house on the west coast of Sweden and meet my mother and my brother. We will be together during Easter. Then I am off to South America. For five weeks. And where have you been the first three months of 2012? Per: It was an exciting year until now. We have been to Australia. In Southeast Asia. In China. We have never played in Shanghai before. Now I also look forward to South America, although we have been there last year already. But this time we are going to different places. Venezuela, Peru, Argentina, Brasil. How do you cope with a jetlag? Per: Good question! You never really get used to the different time zones. It’s not a problem to perform, that’s not exhausting. It’s the opposite. It gives me a lot of energy. It’s travelling, that’s exhausting. The airports, waiting all the time, the long flights and that your inner clock is confused all the time. Australia is 10 hours ahead, in Southeast Asia it’s still seven. That’s much. You need several weeks to get used to that. And now it’s the opposite direction. But hey – that’s life. And it’s fantastic. I can’t really complain. So you don’t know any tricks to cope with tiredness? Per: You have to listen to your body. You need your sleep. Especially, when you have to go on stage. Then you really have to be in good shape. I hate medicine. That’s why I never take any sleeping pills on long flights. During the last tour I just slept and ignored all those tips, that you have to stay awake until a certain moment. What’s happening with you when you’re travelling? How does it change you as a human being? Per: The world ist damn huge and there’s a variety out there which is just unbelievable. If you come from Shanghai to Stockholm you wonder where all the people are. But if you come from a small town like Halmstad, where I was born, to Stockholm, this town feels too big. Travelling changes your perspective. People around the world have different attitudes and opinions. In China and Scandinavia the politics are completely different. Or compare Lima in Peru with Hongkong? You have to learn how big the world is. And when I travel a lot I really appreciate Sweden a lot more. It’s very clean here, the air isn’t polluted. And then there’s the climate. Well, yes. Not really. Only from May to October. These months are really wonderful. Then there’s a west wind in my hometown, you feel the salt of the sea. Winter is big joke here. So I don’t really care when I am travelling in January. You like the weather in Sweden? Per: Not really. Only from May to October. These months are really wonderful. Then there’s a west wind in my hometown, you feel the salt of the sea. Winter is big joke here. So I don’t really care when I am travelling in January. Per: At home, of course. We always sleep in great hotels. But they are never as good as the bed at home. In hotels you sometimes wake up and ask yourself where you are, where the bathroom is. I can’t sleep in planes. I don’t really like flying. It’s not that I am afraid, but I don’t feel very well being up in the air. What do you do in the plane when you can’t sleep? Per: The plane is a good place to read. At home I barely have time for that. But in the plane I always have books with me. At the moment I read the biography of Bernie Ecclestone. I am a huge fan of Formula 1. On flights I also hear a lot of music. It’s cool that you can take so much of your favourite music with you on an iPod. Is there anything you always have to have with you? Per: Nowadays it’s of course a computer that you always carry around. And I actually always have an instrument with me. Mostly a guitar. But I am guy who always starts packing very late. A few hours before I have to go. Even when I am away for a month. My wife always does that one month in advance. I don’t. I have my favourite jeans, my favourite shoes..
You are kind of a hotel expert and own a hotel on your own in Tylösand. When is a hotel a good hotel? Per: It depends on what you want. For me the first impression is important. The people who work there have to be very friendly. You should feel welcome from the beginning. If you like Spas, that’s important. If you like good food, then the restaurant is important. Per: My wife likes Spas. I prefer the studio to work out. I think the staff is important. And a non-smoking room. It’s horrible to come into a room where people have smoked. If that happens I always change the room. I don’t need a big suite. I hate it, when they upgrade me to the “Präsidentensuite” (I really don’t know the English word right since I am in a hurry, it’s the biggest suite in a hotel). I don’t want to play tennis in my hotel room. I always close all the doors and stay in my bedroom. If you’re alone you really don’t need more than one room. We have had this piece of news “hidden” in the other article about the US tour dates, but I think it’s worth mentioning it in addition: “Travelling” will be released digitally in the United States on June 5th. “The idea has been to tap into all the positive energy that has boosted the band during this dazzling trip, and channel it into new Roxette music,” says EMI/Capitol a news release. Roxette’s latest album “Travelling” will enter the German charts at #7 on Friday. So far only new entries and other special changes got published by the chart company. The charts run from Friday to Thursday. Thanks to Dennis Korbel for the info! The LP version of “Travelling” comes without any new pictures. Instead the pics are just bigger. The demo of “Me & You & Terry & Julie” is rocky and doesn’t point that the final version would have slow verses and a fast chorus. The demo of “Touched by the hand of God” (called Charm school) is also acoustic – Per and an acoustic guitar. The tracklist order is also different on the vinyl, beginning with side B (track 5 on the Cd) every following ‘track-couple’ is switched with each other, Easy Way Out with It’s Possible, EMSDYWMTCUYW with Perfect Excuse and See Me with It’s Possible (Version 02). Roxette entered the Swedish album chart at #8 with “Travelling”. As expected, #1 was Madonna with her “MDNA”. This means that Roxette was the second highest entry this week. (One could think it was a bit of a bad timing to release the album the same week as Madonna…, but who cares, we still love our great band). One more success for Roxette: the new album “Travelling” has sold gold (20.000 copies) in Sweden already! The album was released on Friday 23rd of March. At what position will the album enter the official Swedish charts? We’ll see on Friday! This the new ad promoting “Travelling” album in Sweden. It includes previously not seen pictures from Asian leg of the tour. New Roxette album Travelling entered official Czech album chart on #7. Although was realease date set to this Monday, album was already released last week in Thusrday. So only two days were enought for Travelling to jump on positin 7. FYI Charm School scored #1 and received Gold status in Czech Republic last year. Additionally “It’s possible” debuted at #64 on German single charts. Thanks Fabio (ettexor) for the hint! Here is a collection of some videos we found on YouTube with the new songs from Travelling. The purpose of adding the links here is to spread the word about this brilliant new album, don’t forget to buy a copy on iTunes or Amazon or your store next door! You can also listen to the album in some countries on Spotify. The videos might be gone soon, so just use your imagination to look for other options. SPOILER: Very first look at Roxette’s TRAVELLING album! Here are the very first look at Roxette’s TRAVELLING album. Have you purchased/ordered your copy yet? 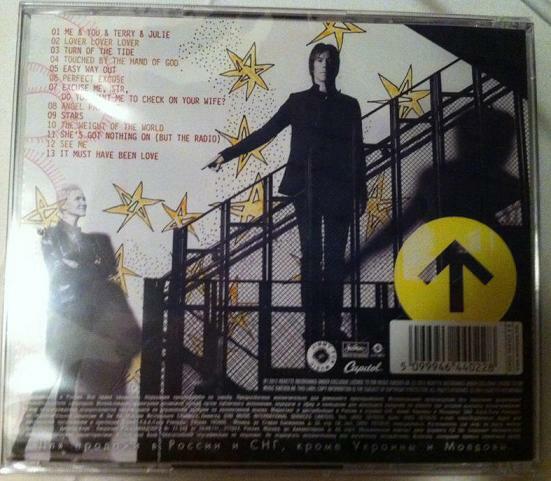 Read moreSPOILER: Very first look at Roxette’s TRAVELLING album!